You can tell Excel to display the file location permanently. 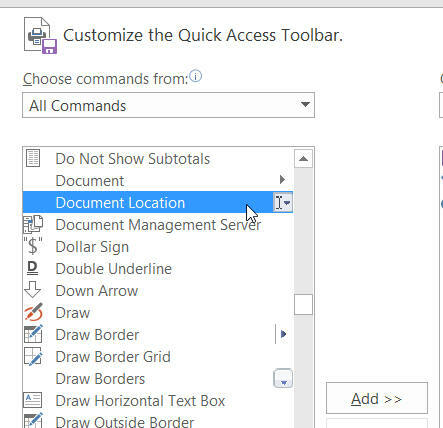 Right-click on one of the existing tools in your quick access toolbar, and choose this menu option. 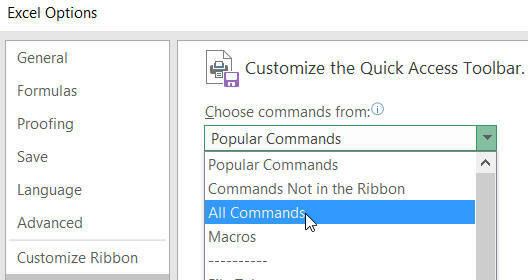 Choose from the list of all Excel commands. Alternatively, you can click on the Add >> button shown. You can copy the file path at any time. My thanks to Jacqueline of Lloyd's for this tip!